Are Dull Skin treatments making your skin even worse? Here are a few reasons why. Not that your online research and advice received are of no use, but they are just not the ones your dull skin wants. You or your close ones must have noticed your dull skin and this has got you worrying. But are you taking any action for it? You could easily neglect dull skin but till how long? It wouldn’t take much time for people to notice your dull skin. Most dull skin treatments include regular salon visits where they have facials and smaller treatments. But you can never trust these salons completely. The products they use are anonymous to you and they may harm your skin. You should know what is happening on your skin. Other treatments like exfoliating and applying masks are quite popular too but if overdone it may harm your skin. 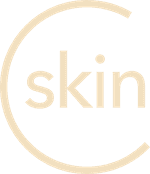 Dead skin cells are another reason for dull skin. They need revival from inside out. With a proper diet plan and active lifestyle, you can replenish dead skin cells. Treatments vary for dry skin, oily skin, normal skin, and combination skin types. So treatments must be customized according to your skin type. Stress and depression are another reason for dull skin. You have already so much to stress about so why stress about dull skin. Leave that to us. We will take care of that. A dermatologist can give you the best treatment plan. You can sit home and get rid of dull skin but with a slight upgrade. Cure Skin brings the medicine to you and the doctors here keep track of your progress in every step.